Sheila Fitzpatrick, one of the nations leading scholars on the former Soviet Union, is one of five distinguished scholars in the humanities to receive a 2002 Distinguished Achievement Award from the Andrew W. Mellon Foundation. The three-year award provides up to $1.5 million to each of the scholars and their institutions in order to deepen and extend humanistic research. In contrast to other academic award programs that benefit the individual scholar exclusively, the Distinguished Achievement Awards recognize the interdependence of scholars and their institutions. In addition to recognizing a scholars work, the awards are intended to support programs that enhance scholarship and teaching related to the recipients interests. The foundation also commended Fitzpatrick for her commitment to students, a number of whom have become important historians. While continuing her work on the Soviet Union, Fitzpatrick said the support will help her develop a new project with Leora Auslander, Associate Professor in History, and other colleagues, exploring social practices and everyday life. She and Michael Geyer, Professor in History and the College, also will expand an ongoing international project in comparative history, which re-examines the Nazi and Stalinist eras by having scholars in both areas co-author articles. In addition, a project with young scholars, several of whom have recently received Ph.D.s from the University, will focus on developing a neo-traditionalist paradigm of Stalinism. Fitzpatricks own current research project is on Stalin, Molotov, and the practice of politics. She is completing a book entitled Tear off the Masks! Identity and Imposture in Stalins Russia. The funds also will support graduate students in modern Russian history, as well as archival and publication projects. Fitzpatrick, who joined the Chicago faculty in 1990, has had a distinguished career of research, which was propelled by the opening of state archives after the fall of the former Soviet Union. She has helped guide students through the research opportunities those materials offer. The rewards of working in those archives have been exciting for scholars, as before 1991, researchers access was much more restricted. In addition to helping students navigate the archives, Fitzpatrick also has guided them to other sources to gain a broader view of the era. Fitzpatricks books, Stalins Peasants: Resistance and Survival in the Russian Village After Collectivization and Everyday Stalinisms: Ordinary Life in Extraordinary Times, Soviet Russia in the 1930s, broke new ground in Soviet research as the first books by a Western specialist to explore accounts written by peasants during the period of collectivization. She also wrote and edited eleven other books on the Soviet era, many of which have substantially reshaped scholarly interpretations of that period. Fitzpatrick, who received a Faculty Award for Excellence in Graduate Teaching at the University in 1995, also is the author of numerous articles. 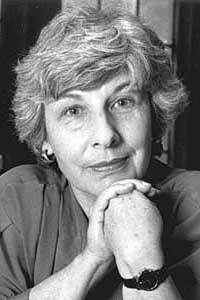 Prior to her faculty appointment in 1990, Fitzpatrick served as Regents professor of history at the University of Texas at Austin. She received her B.A. in 1961 from the University of Melbourne and her Ph.D. in 1969 from Oxford University. She is the second Chicago faculty member to receive the Mellon award. Last year, Robert Pippin, the Raymond W. and Martha Hilpert Gruner Distinguished Service Professor in Social Thought, was recognized in one of the first group of scholars to receive the Distinguished Achievement Award. A committee of distinguished scholars, led by Hanna Gray, President Emerita and the Harry Pratt Judson Distinguished Service Professor Emeritus in History, chose the recipients. Gray, who is chair of the Andrew W. Mellon Foundation, described its mission. The Andrew W. Mellon Foundation has, from its inception, been dedicated to enabling first-rate scholars and institutions to cultivate and to advance humanistic learning and understanding.